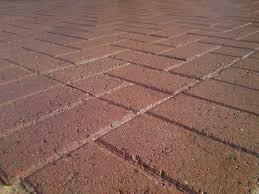 The driveway is usually one of the finishing touches on any well-kept property. A stylish driveway can up the property’s curb appeal by a mile. Having said that, not many people consider the driveway to be in need of cleaning, usually the average driveway never really makes the to-do cleaning checklist. Nevertheless, the driveway needs cleaning, proper cleaning too. The conventional way to clean your driveway is to grab a brush, a bucket, a bunch of toxic solvents and scrub and rub for hours if not days on end, breathing in toxic fumes, toiling away in the heat or rain. You can also hire your own pressure washer, though this is also hard work, plus you may cause damage or personal injury if unexperienced. In all cases, our professional driveway cleaning service in Reading RG1 is the most efficient and affordable way to clean your driveway to a perfect finish, not to mention it is totally hassle-free for you. These issues will cause dark patches, odd colour, fading, discolouration, built up etc. Our professional driveway cleaning available in Reading RG1 will deal with these effectively and bring the driveway to its former good looks. 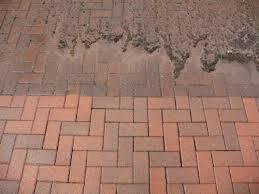 We use professional grade pressure washing equipment with adjustable temperature and pressure settings. We also have interchangeable nozzle bits for those tough to reach nooks and crannies. The jet wash machines are industry grade and allow for minimum water and resource waste. The cleaners performing the driveway cleaning in Reading RG1, are qualified cleaning professionals, which means no risk of property damage or personal injury during the process. 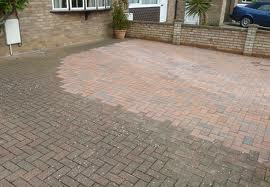 The cleaning methods we use are perfectly safe and suitable for all types of driveway surfaces. Customers must be aware that pressure washing of driveways of compromised structural integrity will not be performed as high pressure washing equipment might dislodge loose bits and pieces and turn them into flying debris. Generally, the driveway cleaning service available in Reading RG1 will be able to restore the original hue and colour of the driveway, minus sunlight damage which is permanent.